Driving my Range Rover Classic LWB is an adventure. And I don’t mean an off-road adventure. Driving her on pavement is exciting, and that is perhaps an understatement. Exciting like you really don’t know where she will go at any given bump in the road. 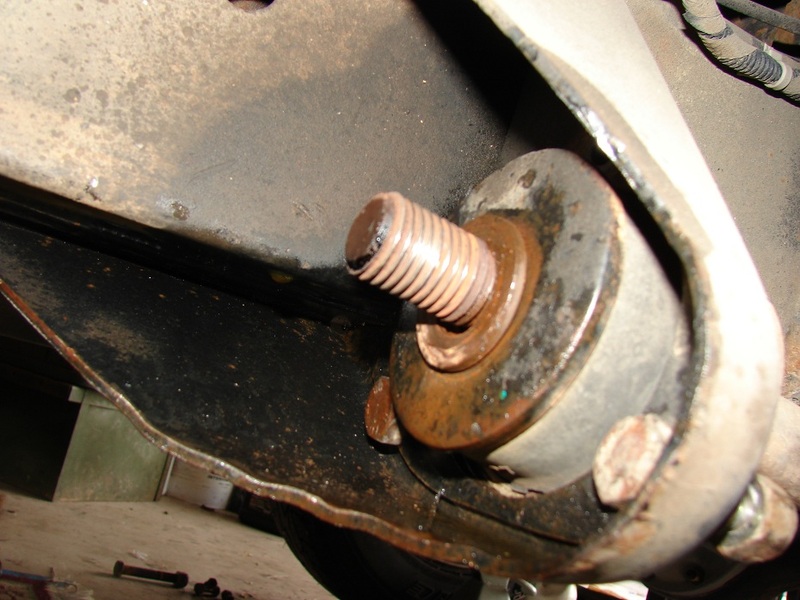 As you have probably surmised, the bushings were very worn. When I would accelerate, the Rover would pull to the left, as you let up on the accelerator, it would dive to the right. When I was in the habit of driving her every day, you learned how to handle that. Combine that with bald tires, worn shocks, old springs, its easy to see that the last few drives to JagGuy’s shop on Saturdays was beginning to be pretty exciting. 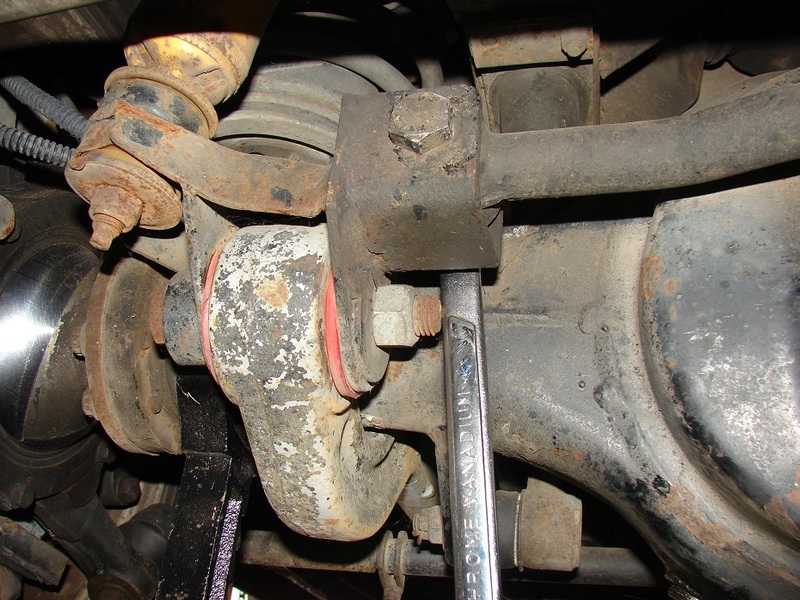 I changed the front radius arm bushings first, actually several months ago. This week I finished the rest of the standard bushing kit. I purchased the poly bush kit over a year ago, thinking I would have time to do the entire job in one day. That was really unrealistic. Even with JagGuy’s great shop and tools I could only get the front radius arms done in one 6 hour session. So with the Classic sitting in my garage I endeavored to change the rest out. 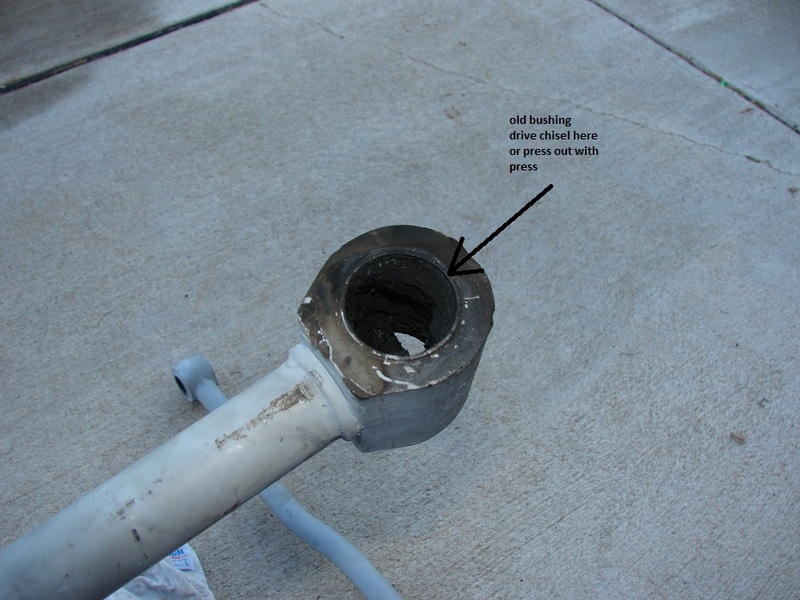 The bushing kit replacement has only a few simple concepts. Difficult to remove bolts and nuts. Finding replacement hardened nyloc nuts. Difficult to remove bad bushings. The good news is the instructions that come with the kit were pretty good. The only problem with them is the fact I was working on a Range Rover and the instructions were for a Defender. Almost the same. Almost. First I started on the rear radius arms. 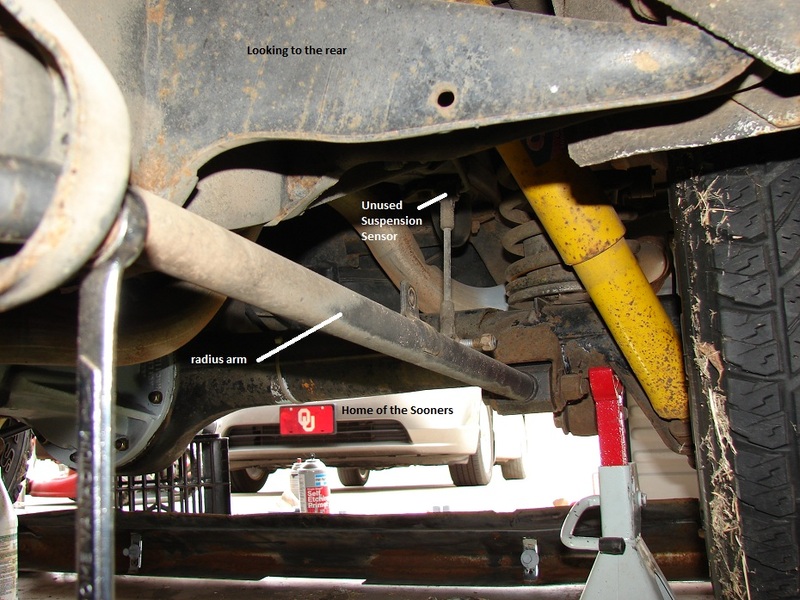 And the first side demonstrated the corrosive nature of the parts that live underneath your Rover. To remove the first nut I had to use penetrating fluid, which was funny because it is a nyloc nut. Basically I don’t think any fluid got to the corroded bits. At one point I had both feet braced and a twelve inch wrench with a rag to lessen the pain of metal on my hand. With all that I couldn’t get it to budge. I soaked it again and went to the other side and did it while I hoped the penetrating fluid did its magic. I also lined up my hoss of a neighbor, Kramer. He’s a big weightlifting tattooed biker guy. I asked if I was unable to get it broke loose if he could lend a hand. He agreed. I returned and thought, “Ungh, fire. Fire good!” Why didn’t I think of that sooner? Hell I’m a closet pyromaniac. Fire should have been one of my first thoughts! So I got out the torch and heated the nut…a lot. The penetrating fluid boiled off, the nylon locking part boiled out as I continued to apply the heat. I gave her a few minutes more of heat and then I went back to the wrench. I pulled hard and finally with a satisfying moan the nut turned. I reset the wrench and pulled again and another nice groan of metal on metal. A few more turns and it was off. You can see the rust. This was bad. But what I found after that was worse. The end of the shaft had been machined wrong. There was a missing thread and the threading that was there was just slightly off. As if they didn’t place the unit in the machining lathe correctly. You can see that in this picture. The clean and shiny one on the left is from the passenger side. The rusted one is the driver’s side and the poorly machined one. You can see how the threading just unceremoniously ends. Poorly done. This is a good example of the rust that had to be removed as well. it was bad. 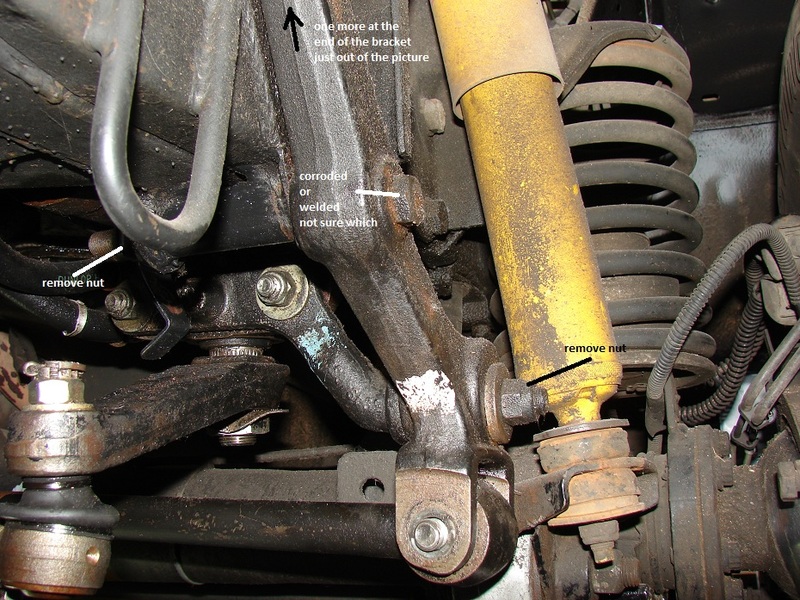 You then remove the rest of the bolts to get the radius arm off the Rover. After you have the front bolts off, you can start on the back. A few turns of the wrench and off comes the radius arm. 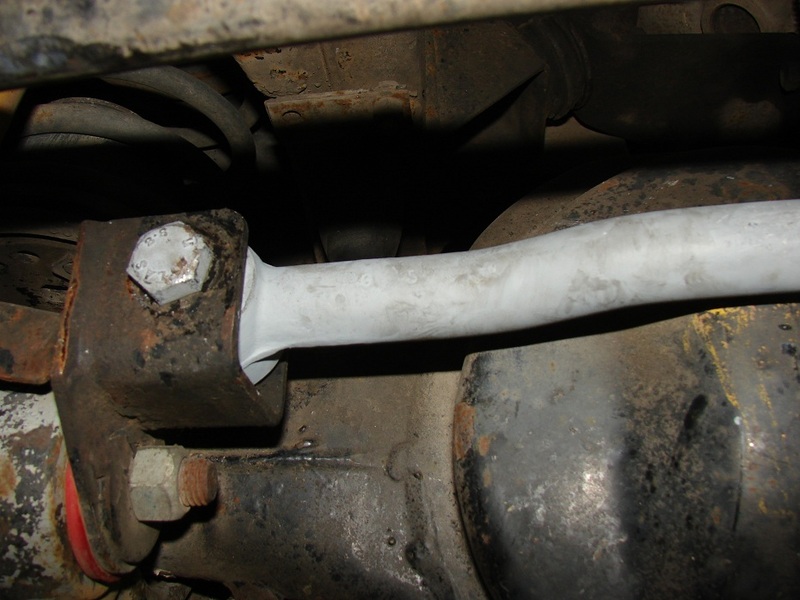 I then went to the front end of the Rover and removed the panhard rod. This was a bit more trouble as this is where the instructions failed to mention the driver’s side bolt will not come out with out removing the bracket. You can see the abuse the front radius arms have had in just a few months. I have the wrench on the backside nut in this picture. I now had all the parts off. The task of cleaning off the rust. I gave the bench grinder a good work out. The old bushings need to be removed. You can use an industrial press with the right size of jigs and press the bushings out. I didn’t have the right size of jigs. You can also burn out the rubber bits. And considering I am a Marine and an amateur pyromaniac I chose the fire method. It is not glamorous and its pretty messy but it works in a pinch. After you get the middle rubber part out you need to get the metal ring out. This is better removed if you have the jig and the press. Without the jig you are relegated to using a chisel or two to bend and cut the bushing wall out. I’ve done this two ways. I have used a big vise to hold the part while I banged on the old bushing with a hammer and chisel. I have also placed the arm on an old brake disc on the driveway floor and banged away with a hammer and chisel. Using sandpaper and my Dremel with a grinding stone I cleaned out the rust and cleaned up the burrs from the chisel whacks. Poly bushes do not do well when they get cut and nicked and the instructions made it clear this step was very important. 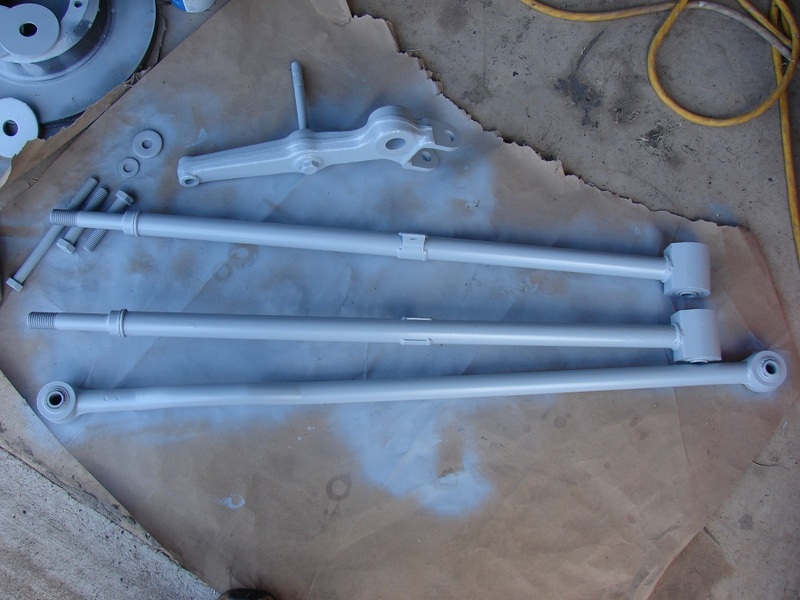 I then painted everything with it’s first coat of primer. I was determined that I would limit as much as I could, the inevitable rust. With a second coat of primer and Rust-oleum I put the new poly bushings in and reinstalled. To correct for the bad shaft on the driver’s side I added an additional washer. 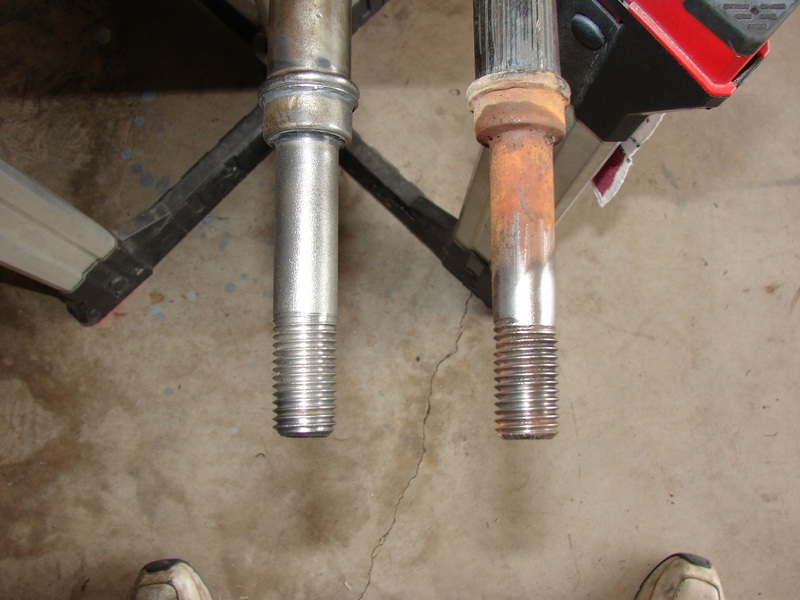 This was to back the nut up the shaft so all the threads were on good threads. Probably not necessary but I wanted to make sure. It is important to know that replacement nyloc hardened metric nuts did not come with my kit. 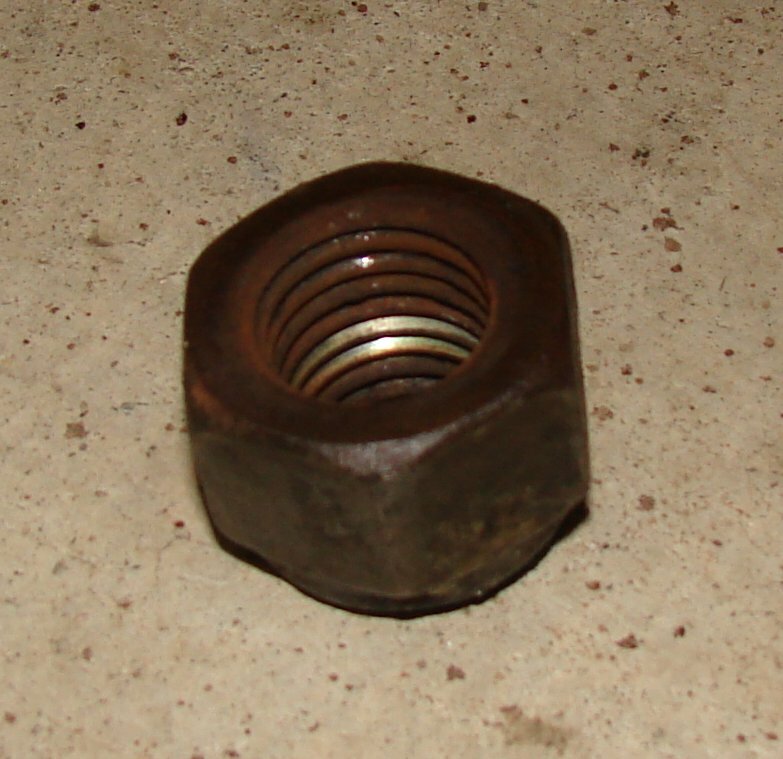 So I should mention how hard nyloc hardened metric nuts are to find. Lowe’s didn’t have them. Ace Hardware didn’t have them. So with a phone call to my buddy JagGuy I was turned on to the location for the Mecca of fasteners. The things he remembers is truly amazing. Everyone should have a JagGuy to call. He said J&E Fasteners on SE 59th in OKC was the bomb dot com. And as always HE WAS RIGHT. I showed up with my bolts and one of the rear radius arms and Dana matched them up with Grade 10.9 nyloc hardened metric nuts. I bought a few extras for my trail kit. I highly recommend J&E Fasteners. One of the fellows behind the counter said, “the website was a work in progress”. You can order from there and they will ship. If you visit their OKC location don’t mind the strip clubs across the street. This is Valley Brook and their only claim to fame are the strip clubs and their jack-booted police department. 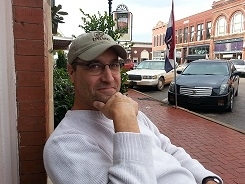 I’ve never experienced a run-in with their police department, that is just their reputation. Two miles an hour over the speed limit…yeah, you’re getting a ticket. 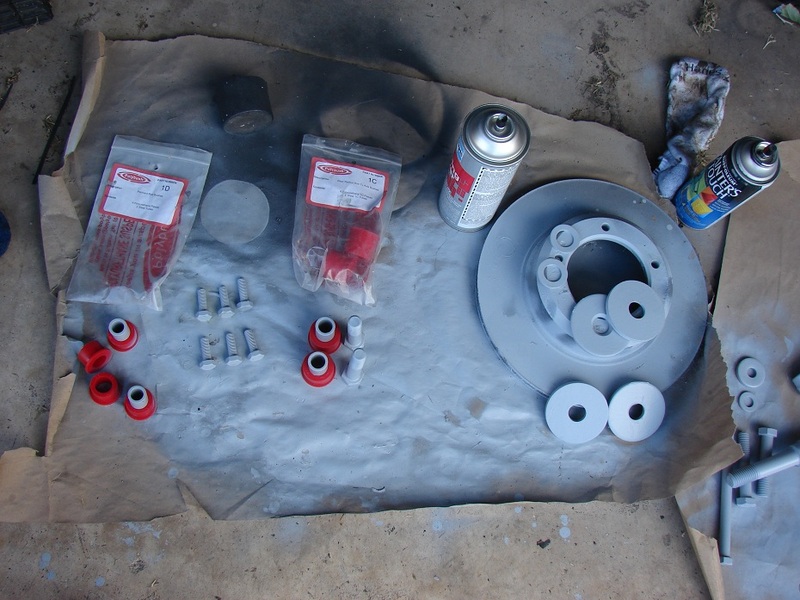 With the bushings installed and the items painted, all that was left was to reinstalled the bits. I had to use the floor jack to position the rear radius arms and to get them pressed into place. I recommend taking a rubber mallet with you when you go under your Rover to gently align the bolt holes. 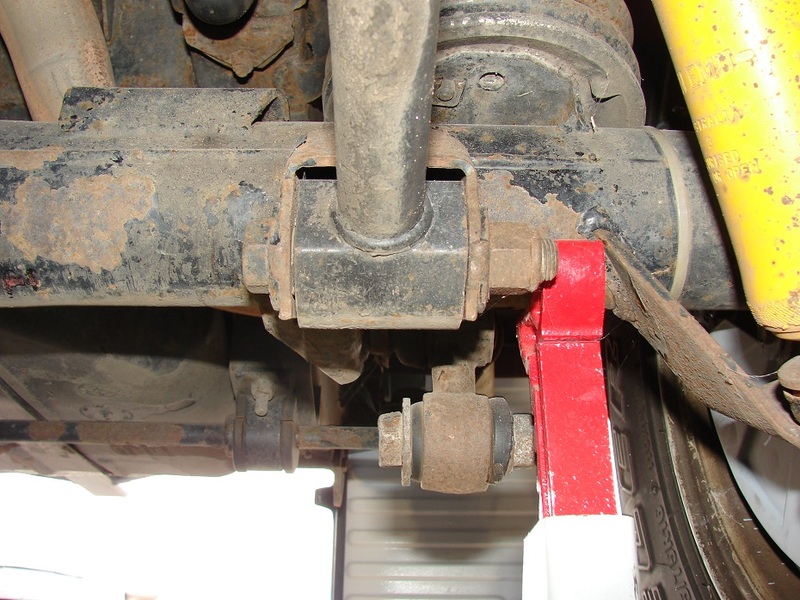 The panhard rod was not difficult to install. The instructions recommend a lever to help align the holes. I used my large standard screw driver. Do the left side of the panhard rod first. 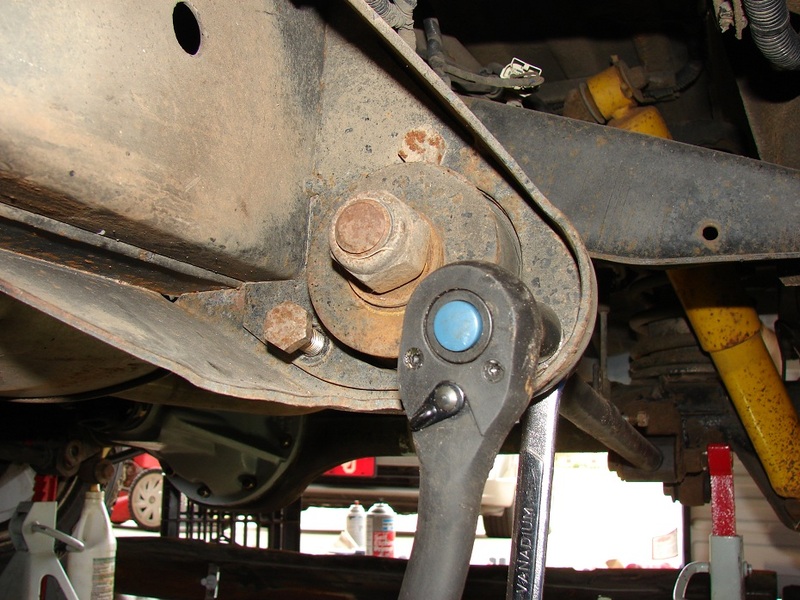 Slip the bolt through the bracket and then place the bracket into the holes and wrench it all down. This job on the whole is pretty easy. I would however give it a solid 3 on the OkieRover Difficulty Scale. Having a lift would make this job easier. Having a press with the proper jigs would make this job easier. After doing this job I now know why people just buy kits and upgrade these parts. The fiddling and cleaning and prep is very time consuming for parts that are known to fail in extreme off-road conditions. 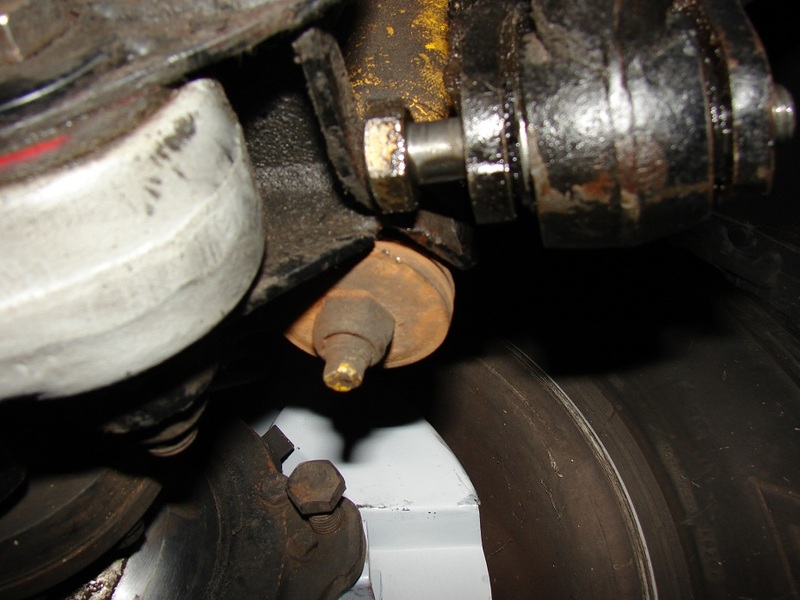 This picture of the nut from the left side rear radius arm should tell you everything you need to know about the corrosion you will encounter on this job. 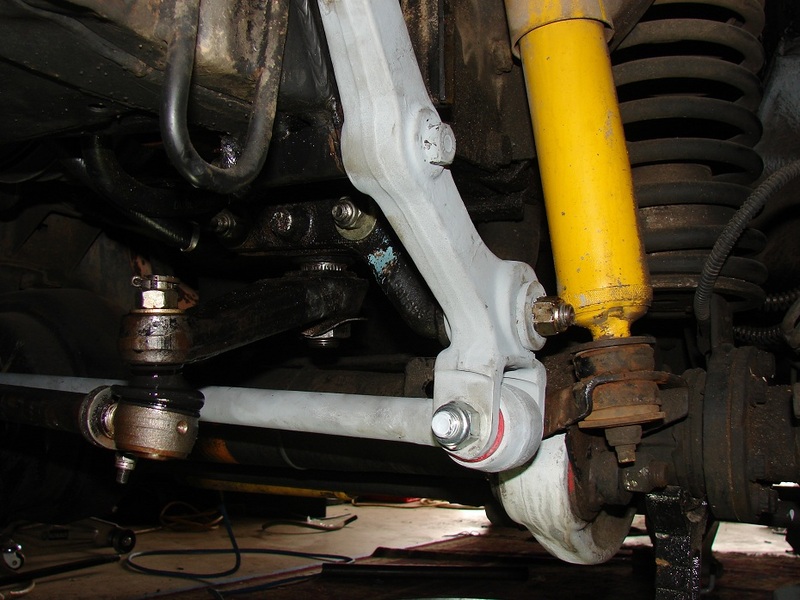 This entry was posted in bushings, Range Rover Classic, restoration. Bookmark the permalink.